This collection has been created to shed light and answer questions surrounding different types of schooling and education. We are not trying to compare, but rather educate you on the differences. Each family will need to make their own decision regarding what works best for their child and family. There are no 'right' answers. It is an individual decision that needs to be made based on your student's individual needs, learning style, abilities, and resources. 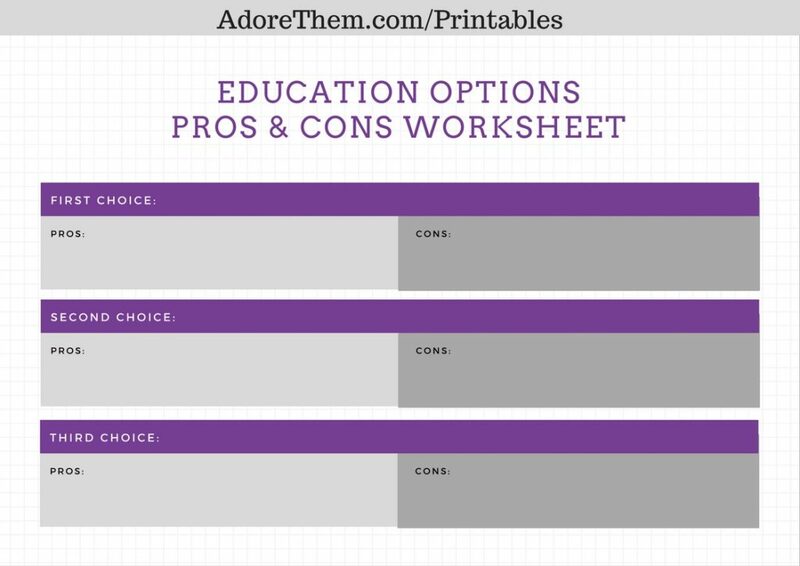 And we created this free printable to help you decide which education option might be best for you child!